2013 1st edn, 334pp, photos in color and b&w, maps, index, 8.5x11, hardcover, dj. Ltd. to 1,000 numbered & signed copies. Jorge Alves de Lima started in Angola in the very early 1950s when it was a hunting paradise. Those were the days when the entire Big Five were not just available but also noteworthy: very good lions with excellent manes, huge-bodied elephants (albeit not very often with truly outstanding ivory), and lots of black rhino. Angola was, in fact, one of the last countries where one could hunt black rhinos well into the 1970s, which demonstrates just how numerous they were. Rather than giving us a straight narrative of interesting and exciting hunting stories, Jorge Alves describes the political landscape in order to paint a picture of the entire era. He tells us just what it was like: the grittiness of trying to get licenses with the corrupt Portuguese colonial overlords, the hardships of making the camps and vehicles last a season, and the dirty tricks played by competing safari companies. That's not to say the book is not chock-full of exciting stories on cats, rhinos, buffaloes, and elephants because it is. Jorge Alves's company was very successful in getting clients very good trophies, and you will see well-known personalities parade in and out of these pages. There are lots of Big Five trophy pictures, which is always a plus in a hunting saga. Part Two of the book is on jaguar hunting in the Pantanal region of Brazil, which is not just a nice surprise but also a nice addition to the book. This long section includes hunts for jaguar with friends and family of Alves and an interesting history of jaguar hunting in South America. Alves goes back in time from before Sacha Siemel and continues till recent times to describe the evolution of jaguar hunting in South America, and he backs up his discussion with lots of (historical) pictures. Speaking of recent times, fans of Tony de Almeida will not want to miss this book because it gives us a very interesting update on Tony's jaguar career—by Tony himself—and how he radically changed his methods of hunting the spotted jungle cats. No longer is it assumed that jaguar hunting means tracking with horse and dogs; today it's most likely that boats will be used to hunt jaguars. If you like jaguars, this section alone is worth the price of the book. There are also stories of Richard Mason who was both a partner of Tony's for jaguars and a PH in Angola as well. This book stands out to us for a number of reasons: It is very well produced on coated paper, it has been elegantly designed, and there are good quality photos despite the fact that they are forty and sometimes fifty years old. Then there are the contributors: Anton Allen, Bill Negely, Hugo Seia, Tony Sanchez, Richard Mason, and Tony de Almeida. These men have contributed all fresh, not previously published, stories. In some cases the book suffers from some grammatical flaws but these are not annoying. Be it exciting materials on the Big Five or giant jaguars in the Pantanal, this is a book worth reading. 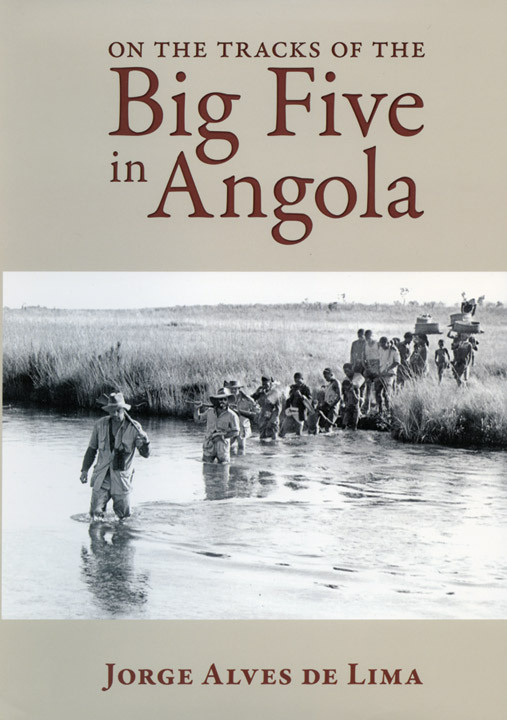 Submit your review for "On the Tracks of the Big Five in Angola"